Why do the Chinese love 💕 turtle? Recently, I am intrigued by the nature and characteristics of the turtle. Suddenly, there are some flashbacks of childhood memories. 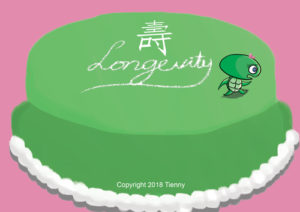 A cake with tortoise design was bought for celebrating my grandparents’ birthday. Thus, I check about the turtle more. Before and during the Song dynasty, turtle represents longevity and long life. However, turtle soup is the most famous dish among the Chinese. Thus China’s Taste for Turtle Fuels Asian Crisis highlights the traditional medicinal cure in turtle is to purify the blood, cure diseases and to bestow longevity. Poaching and trading turtles also create a crisis in China that can lead to turtle’s extinction as emphasized in China’s Turtles, Emblems of a Crisis New York Times news. In China, saving sea turtles from soup BBC news reported on Hainan island to be the centre to save the turtles from being cooked into soup. Personally, I feel sorry for the turtles to be cooked into soup. And I also feel the contradiction to save the turtles from extinction when its population decreases.